Food confession time: I have never had meatloaf. My mom just never cooked it for my family when I was growing up, and I’ve never eaten anywhere where it’s been served. And to be honest, I never want to try it. Not only do I not eat beef, but it honestly just looks so gross with all that tomato sauce mixed in with the ground beef. Yuck. 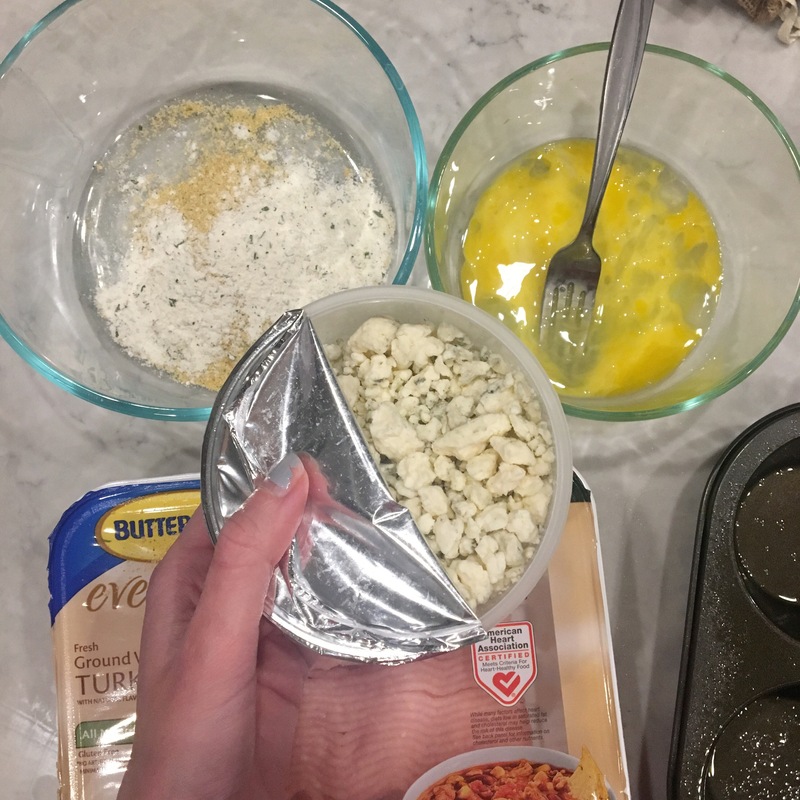 So, a few years ago, when a coworker told me about a twist on meatloaf that involved turkey instead of beef, and blue cheese dressing instead of tomato sauce, I was intrigued. You see, Dear Husband prefers me to always substitute ground turkey for any recipes that traditionally call for ground beef, so I knew he would at least like that aspect of it. I made some twists on the recipe myself by adding crumbled blue cheese and using ranch dressing instead of blue cheese dressing. The recipe is relatively easy and quick for a weeknight family meal. You start by whisking one egg in a small bowl. In a larger bowl, you will mix together some bread crumbs, ranch seasoning, and blue cheese crumbles. Next you will knead the ground turkey into the dry ingredients, mixing in the egg as well. 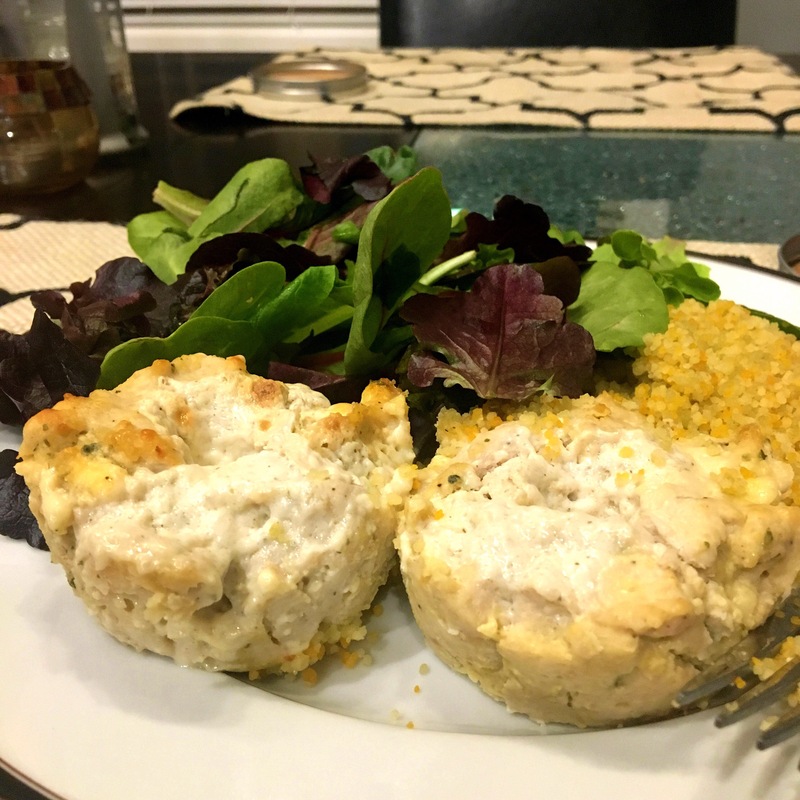 Fill a greased muffin tin with the meatloaf mixture, and use the end of a spoon (or your thumb!) to create indentations for the ranch dressing to go. Finally, pop these in the oven for half an hour, and you’ve got yourself a perfectly portioned dinner. Use light ranch dressing and reduced fat blue cheese, and it is healthy to boot! Tell me, what is your favorite twist on a classic family recipe? Preheat oven to 425 degrees Fahrenheit. Grease a large muffin tin. In a larger bowl, mix ranch seasoning and bread crumbs. Add turkey and egg to large bowl, and knead thoroughly. 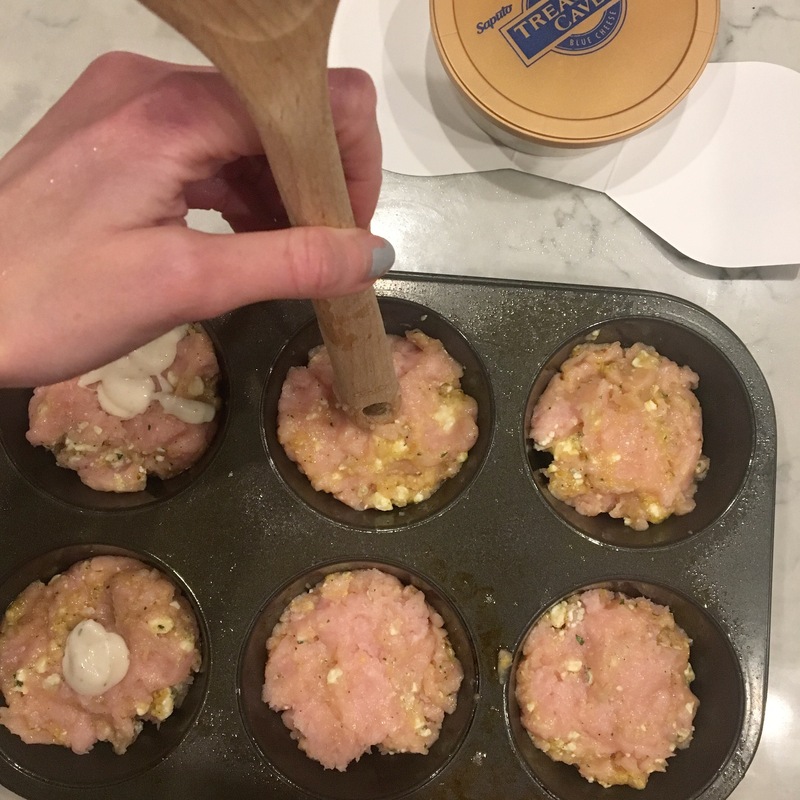 Scoop meatloaf mixture into muffin tin, and create indentations in each cup. Squeeze in ranch dressing. Bake for 30 minutes, or until meat is thoroughly cooked. Ooh celery soup sounds really, really good!! I hadn’t even thought of stuffing the meatloaf mixture with chopped veggies, but that is a fabulous idea! I use oats instead of breadcrumbs in my meatloaf for the extra healthy grains! I also make a sriracha-soy sauce-spicy glaze that goes on top of my turkey meat loaf! I also add cayenne… I love spice! Oh my gosh oats sound really good as a sub for breadcrumbs! I will definitely have to keep that in mind, since I virtually always have steel cut oats around the cupboard, but not necessarily breadcrumbs. Thanks for the suggestions!! No problem, I loved the post!! !